Scroll to last entry for latest information. Thanks! 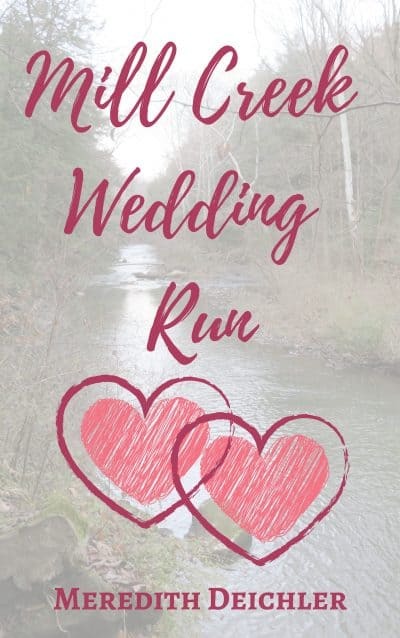 Mill Creek Wedding Run is available for free with newsletter sign-up over at My Book Cave. Bradie has been best friends with Nia since their freshmen year of college. Even moving halfway across the United States following graduation did not break that bond. When Nia asks her to be a bridesmaid in an unconventional wedding, Bradie says yes. When the big day arrives, Bradie gets ready to put on her running shoes for the 5K the bride and groom have planning for their guests to run before the ceremony. However, before even arriving at the start line, she faces an overbearing mother, a missing groom, and a secretive bride. Not to mention her own heart's confusion over a handsome and engaging groomsman . . .
* Newsletter focuses on one travel destination a month with a few suggestions for places to visit or eat along with recommendations for books to read from that destination. Also included is a short update on my writing. Decision in Paris is now free on Amazon March 28-29. Elms River College is excited to offer a guided tour of top sights in France and Italy to our alumni especially those who graduated five to ten years ago! With her closest cousin Aubrye as a roommate and her long-term boyfriend Connor as a fellow traveler, Quinn should be looking forward to a relaxing vacation, their tour guides taking care of all of the details of the journey. However, Quinn’s acceptance of a new work position with a required relocation six hours away while Connor remains tied to the family real estate business has shaken the relationship. Ignoring the effects the separation will have on their relationship has only built a wedge of uncertainty between Quinn and Connor. Arriving in France, their careful avoidance of the issue crumbles. Against the backdrop of the Eiffel Tower, the Louvre Museum, and other Parisian sights, Quinn and Connor must decide if their love is worth fighting for or if this trip will be their last time together.